Marianne Huhn’s recent works investigate how contemporary political themes can be expressed through the integration of form and imagery. 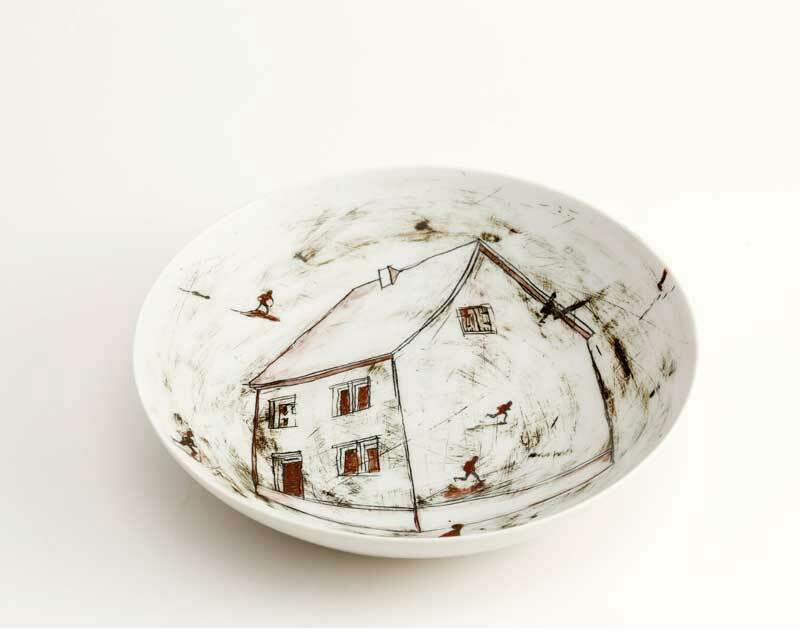 Inspired by commemorative plates and Russian propaganda ceramics, Marianne is fascinated by functional ware that tells a story. “Mark making is one of the unique ways people have shaped and sought to understand their world. Paintings and stories on ancient ceramics have revealed much of our knowledge of the past and the cultures that created them”. Previously, Marianne’s works explored the maps in our lives and the boundaries we create through land and cultures. 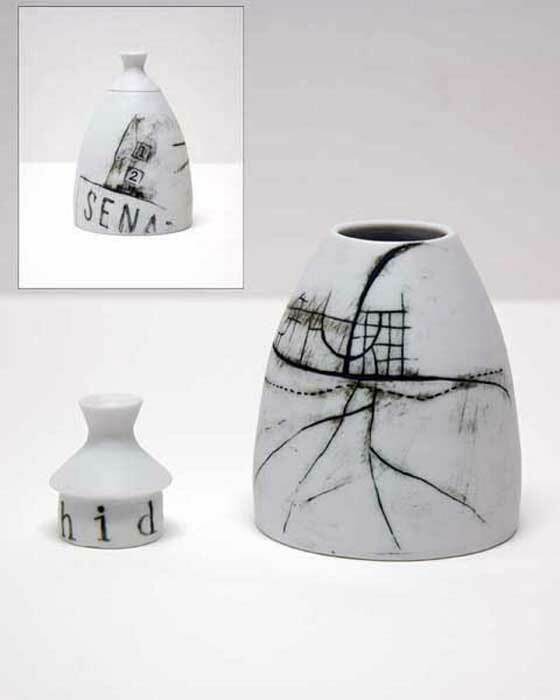 She often questions the nature of functional objects by comparing the space within the form to space within architecture. 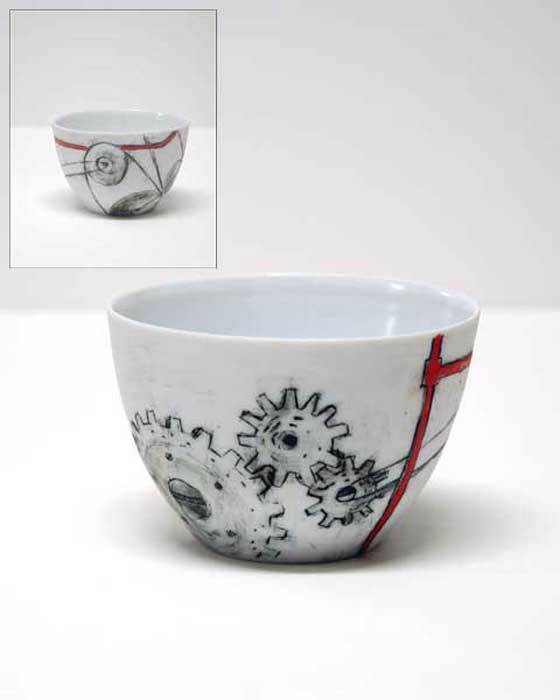 Marianne makes her Limoges porcelain pieces by hand through a long process which commences with throwing the form on the wheel. Once the works are leather hard, she draws and scratches onto the surface with a fine pointed tool. 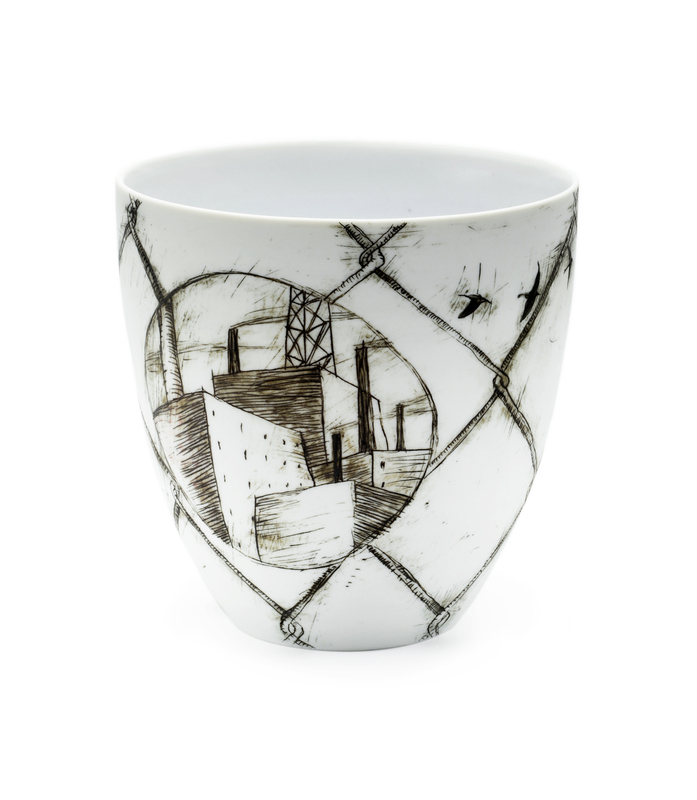 The line work is then filled with oxides and colours or alternatively she paints directly onto the surface. The layers are then worked back to reveal tones and shadow, with the pots then ready to fire after some internal glazing. 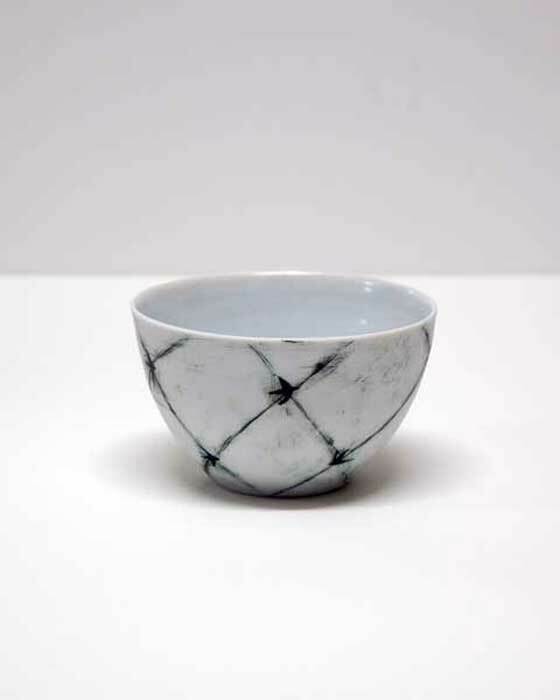 Marianne intentionally leaves the mark of her hand, either on the inside or outside of the pot’s surface, to place emphasis on the individuality of the work and the importance of the human touch. 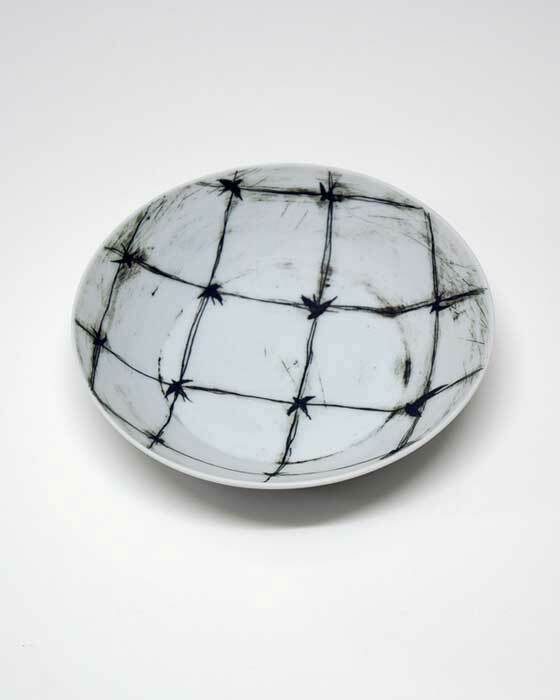 Marianne Huhn received a Bachelor of Arts (Honours) in Ceramics from RMIT University in 1993, and a Master’s Degree in 1998. 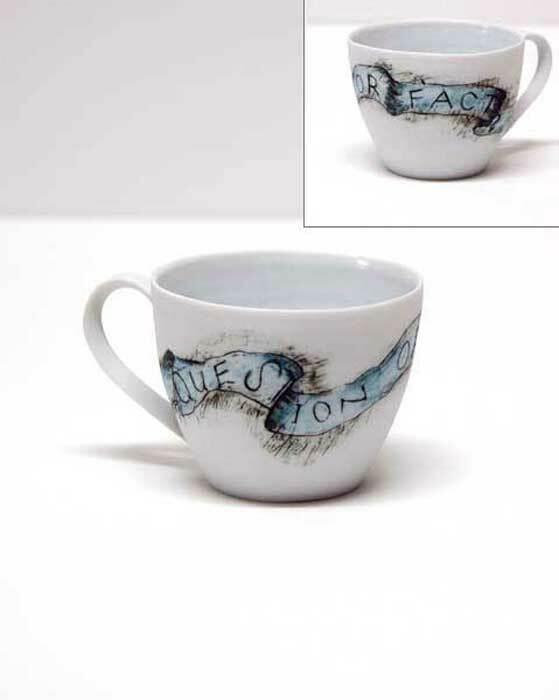 She is currently undertaking a PhD in ceramics at RMIT University. 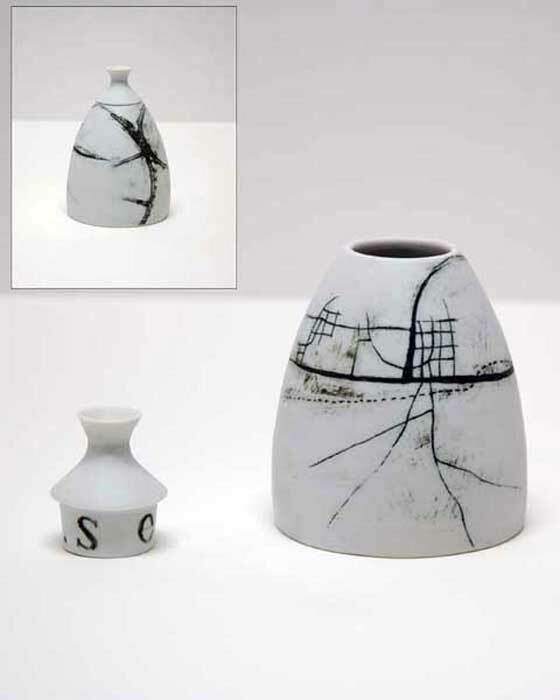 Marianne has participated in over two dozen group exhibitions since 1988, and she received the Newcastle Region Art Gallery National Ceramic Acquisition Award in 1997. Her work is represented in the collections of Newcastle Region Gallery, NSW, Powerhouse Museum, Sydney and numerous private collections in Hong Kong, Germany, South Africa and USA.